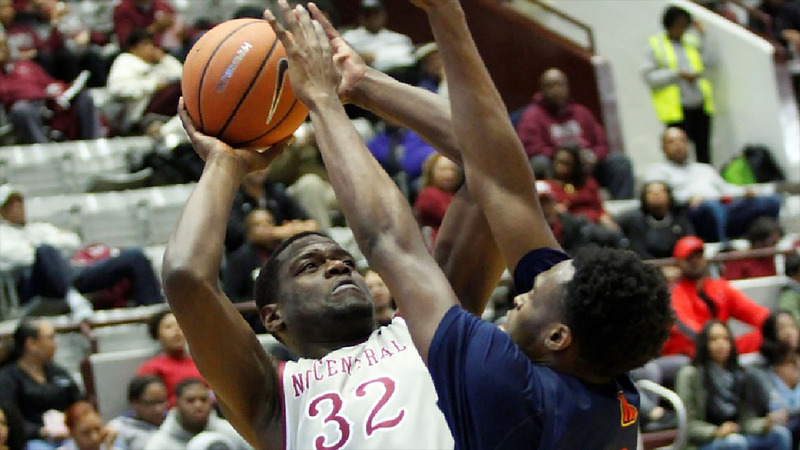 DURHAM, NC -- Raasean Davis had 18 points and 11 rebounds, Pablo Rivas added 15 points and North Carolina Central beat Morgan State 77-63 on Monday night. Morgan State led 18-8 after the opening seven minutes but NCCU went on a 23-2 run - with seven points by Davis. It was tied at 43 early in the second half until Davis scored five straight during a 10-0 run and NCCU's lead didn't dip below eight points the rest of the way. The Eagles will head out to visit Howard next, on Saturday.